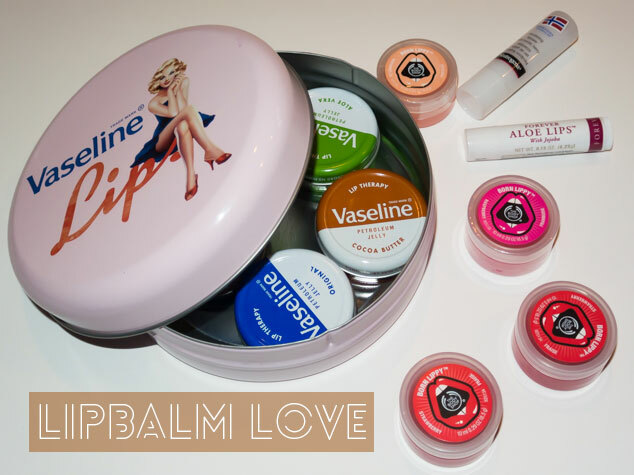 I love lip balms and use them several times daily, they are one of my essential items that I just couldn’t do without! 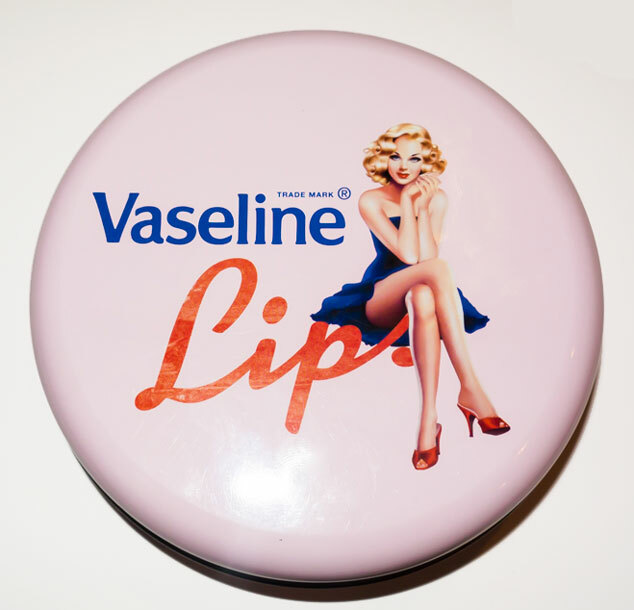 Vaseline is always considered to be the best lip balm, everyone seems to have used it at least once. 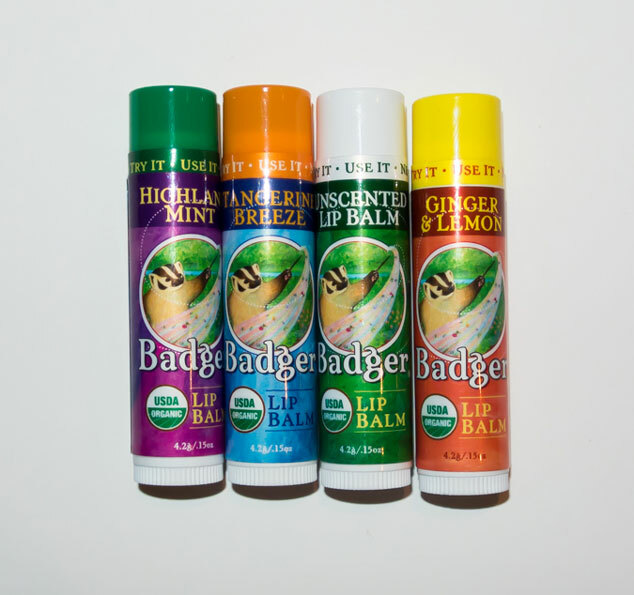 It lasts a long time, is very good for your lips but also has a lot of other uses. It can be used to soften cuticles, make perfume last longer, keep your eyebrow hair in place or as a make up remover. It has become a classic beauty essential and couldn’t be missed from my best lip balm list. 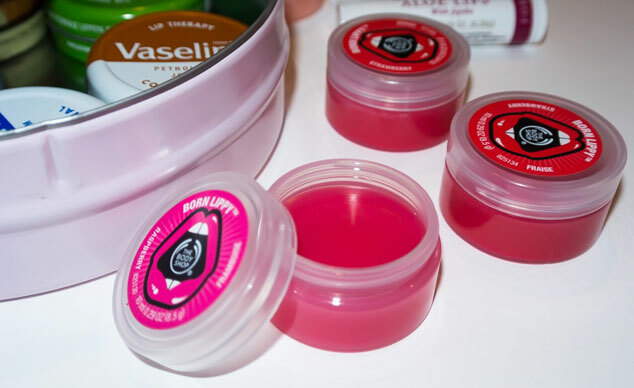 I love the Vaseline Lip Therapy Pink Tin, it came with 3 Vaseline pots but fits all my lip balms in it. The Body Shop Born Lippy are fantastic tinted lip balms. They smell of different fruits and are a bit more glossy in texture than Vaseline, giving your lips a bit more attention. At Christmas my sister Rose gave me a set of 5 and I am hooked, they all smell so different and some have a more subtle colour to the where as others have a more vibrant tint. Forever aloe lips* is more of your classical chap stick. It is very moisturising with Jojoba, perfect for winter or if you are suffering with sore, dry lips. It can also be used as an emergency measure for minor cuts, burns and stings. Lastly are the organic Badger Lip Balm Sticks, bought for me by my Mum for my birthday as badgers have been my favourite animal since I was little. I hadn’t heard of these lip balms before but they contain organic extra virgin olive oil, beeswax, organic aloe, seabuckthorn and rosehip extracts. The scents are quite strong but really refreshing, in the pack of 4 you have Tangerine Breeze, Ginger and Lemon, Highland Mint which is my favourite and unscented. Previous Post Blogging Tips – How-to Enable Twitter Cards and should I use No Follow?